This page is dedicated to intresting tidbits about telivision shows and movies, and the characters in them. There have been many serries that have transformed from movies to the smaller screen so to speak. Some of these have been moderately successful like Tremors the serries and some have been very sucessful like Buffy the Vampire Slayer. The Power Rangers Wild Force team had the most zords in one genra of Power Rangers so far. The fact that they could combine these zords many diffrent ways also accounted for them having the most "Megazords" of all time as well. 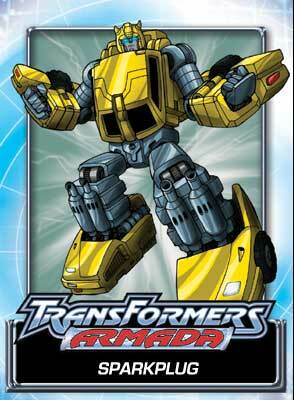 The Transformers Armada serries introduced the Mini-cons which were smaller Transformers that could link with the larger ones to give the larger ones more power. The Mini-cons appeared under a diffrent name once before in the American Transformers line as Micro-Master Transformers. The first "prime time" T.V couple to be shown in bed together were the Flinstones (Fred & Wilma). The Flinstones was also the first 30 minute cartoon to be shown during "prime time". The actor that did Bugs Bunny's voice (Mel Blanc) was allergic to carrots.Bugs Bunny was "born" July 27 1940. Some movies that are addapted from books or comics usualy tend to cut some stuff that the book or comics had in them. This usualy makes for a shorter film. Now people though who have read the book and stuff may be a bit shocked/disapointed by the changes. Some examples include Spiderman, and The Fellowship of the Rings. In Blade 2 he had to face off against a horde of vampire eating vampires called Reapers. Now Reaper vampires were created for the movie and may not be a true vampire species (according to mythology). Whistler has also made a surpizing return in the movie. Some times movies present inaccurate information. 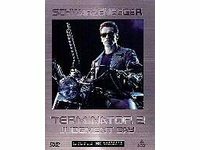 The Terminator serries has the Arnold (T1000) Serries listed as a Cyborge. Though the Terminator is still a "robot" with artificial skin, which is not what the true Science Fiction term Cyborge means (I.e he's not a cyborge, just a human like robot or android). In the 1940s, the FCC assigned television's Channel 1 to mobile Services(two-way radios in taxicabs, for instance) but did not Pre-number the other channel assignments. That is why your TV set has channels 2 and up, but no channel 1. These TV an Movie images and Characters are trademarked to their respective companies. This site does not wish to infringe upon these characters in any way shape or form.